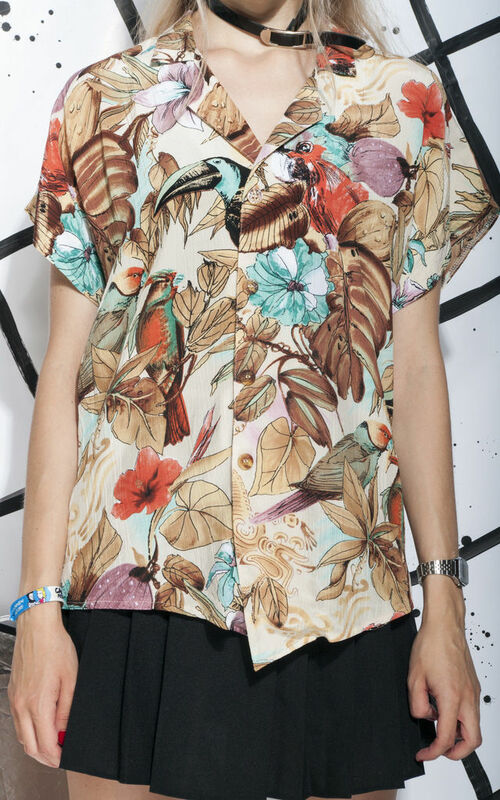 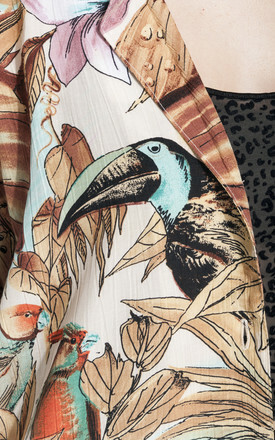 Jungle and parrott printed summer shirt from the 90s. It features a button closure at front, soft and natural viscose fabric and short sleeves. 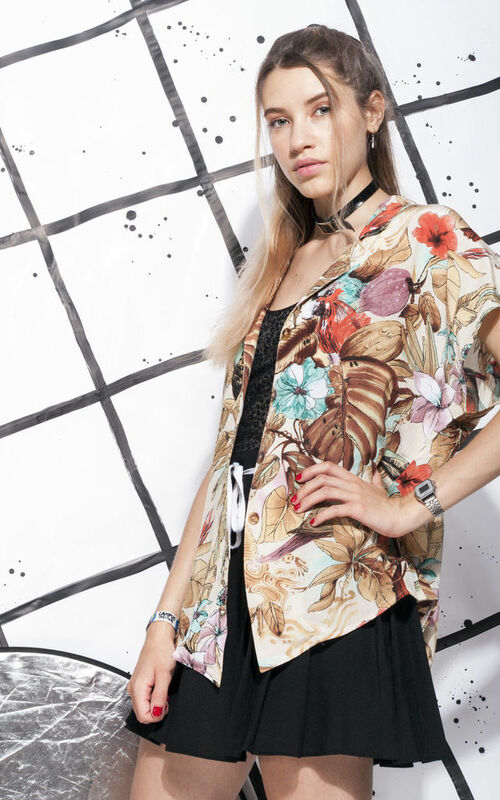 It's an oversized piece that's perfect for layering. shoulder: 65 cm / 2' 1"